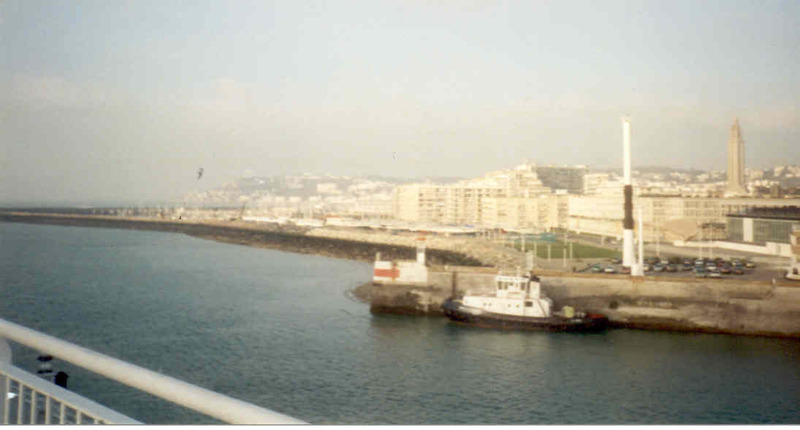 After the Second World War, Le Havre was held by some sources to be the most damaged port in Europe - damaged by British bombing. Certainly nowadays, a pre-war building is very much of rarity in the town center. It had only been liberated on 12. September 1945, well after Paris and Marseille had been liberated (and five days before Operation Market Garden began). 11 000 tonnes of bombs had been dropped by the Allies in their final assault - 5000 people had been killed and 80 000 made homeless (about 50% of the population). Two years were needed just to clear the rubble away before re-construction could even start. This re-construction was entrusted to Auguste Perret - the 'wizard of reinforced concrete'. In pictures from the early 1950s, you can see there were still large areas in the center with not a single building. There are some pre-war buildings still in existence, although possibly heavily restored after wartime damage. The Museum de l'Ancien-Havre housed in a 17th. century building in St. Francois. Museum of Natural History, adjacent to the cathedral, the museum is housed in a former court house from the 18th century. The work of the 19th century naturalist, Charles-Alexander Lasueur, is well represented. 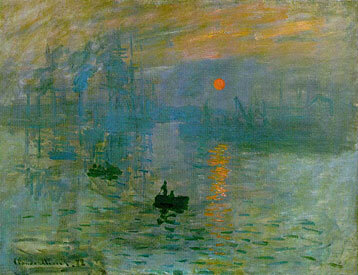 The Bassin was depicted in Monet's picture Impression, soleil levant (Impression Sunrise) of 1872, the picture which gave the impressionists their name. The glass wall of the Malraux Gallery gives you a view of the Bassin from a similar viewpoint to that shown in the painting. Perret's church of St. Joseph's is 106 meters high, and allegedly visible for 60 km out to sea. It is obviously one of the predominant features of the town. Work on the tunnel was started before the war and the works were used as a bomb shelter during the war (although officially this was not allowed). On September 6th 1945 a bomb caused the roof to cave in, killing 319 people. The tunnel was completed in 1954, and you can walk through it (almost 700 meters) from the Cours de la Republique to Montgeon, an open space of 270 hectares. The English arrived in 1415, about one month before Azincourt. They expelled the French and made the town an English colony. It was retaken by the French in 1435. There is a museum - the Musée du Prieuré in the rue de la République.